Last week, late one evening, I was returning home after a long flight. 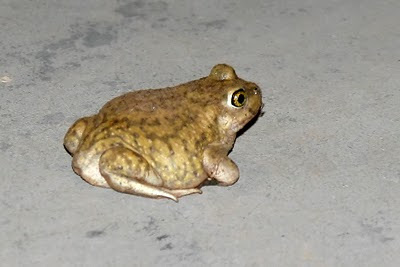 As I drove into my driveway, I was surprised to see a medium sized toad. For some reason, I assumed it was an out of season Sonoran Desert Toad. None-the-less, I grabbed my camera and took a few shots. 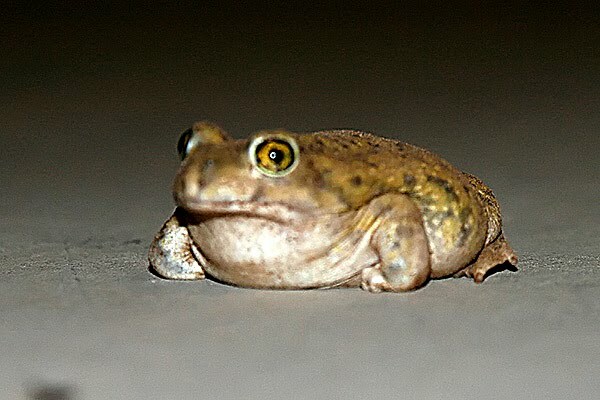 On inspection, it turns out it was a Couch's Spadefoot (Scaphiopus couchi). Like many desert toads, it is nocturnal and primarily resides in underground burrows. This toad is also unique in that it lacks a boss and parotoid glands, making it look generally smoother than other toads. 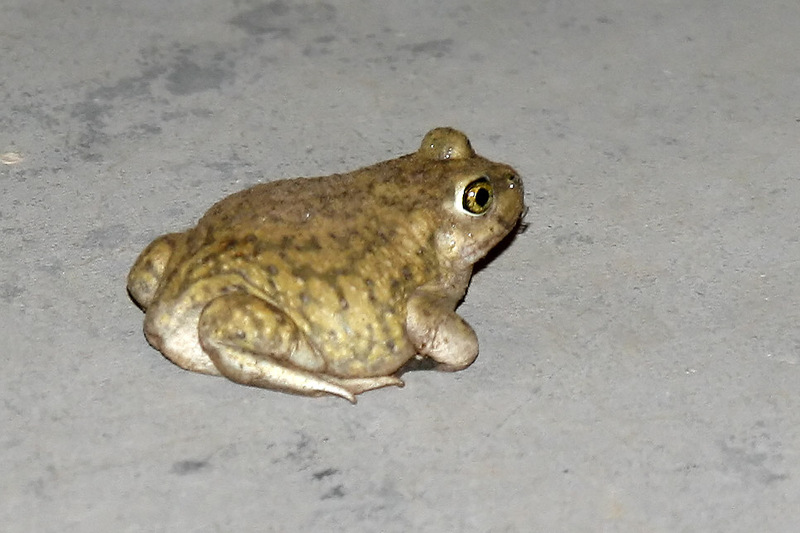 This toad is one of five native frogs or toads that one could reasonably expect to see in the low desert in Pinal county. I've now see three of the five - Red Spotted, Sonoran Desert, and Couch's Spadefoot.